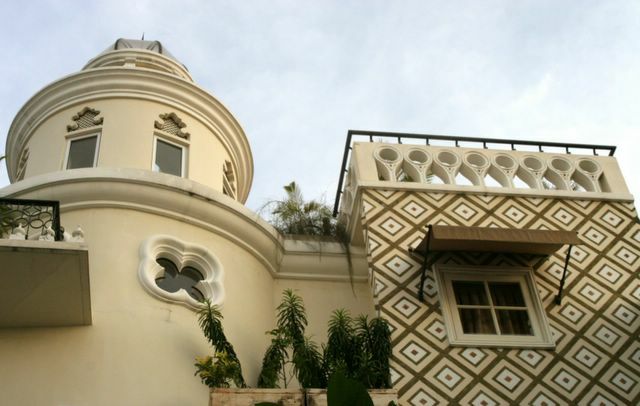 right in central jakarta, hidden in a lush area of menteng, you find a house called the morrocan house. 'rumah maroko' as the locals called it. the architecture and the interior designed exactly like you were in the well known city in morroco, casablanca. even perhaps, marrakech, the cultural city of morroco. i arrived there at around 5 in the afternoon when jakarta was blanketed by soft pre-dusk sunlight. the humidity seeped in unwantedly. and-- immediately was i in awe seeing this place. the tiles, the stone carvings, the window panes, even the colors -- reminded me of the sub saharan country i used to watch in travel channel. until the sun set and left the bluish sky above - this place captivated me and my camera.